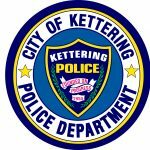 Information about the Kettering Police Department, updates within the community, and results of a citizen satisfaction survey are listed below. Copies of police department press releases and police blotters are also listed below. All files below are in PDF format and require Adobe Acrobat Reader software installed on your computer to view. Download the free software here.